Alexander Dennis has announced that it it to close its Custom Coaches factories in both Sydney and Adelaide. This ends 60 years of Custom Coaches bus building history and is also the end of bus building in New South Wales. 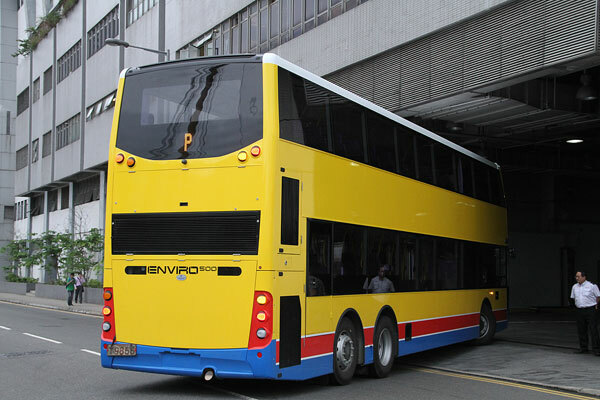 It is unknown whether the Australian/New Zealand version of the Enviro500 (see News 3rd September 2013) will be affected. 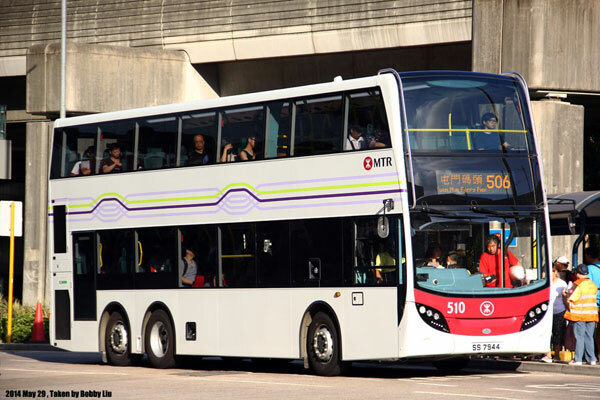 MTR Bus has now registered three Enviro500NGs which were delivered last December. 510 (SS7944), the first, is pictured above on route 506. 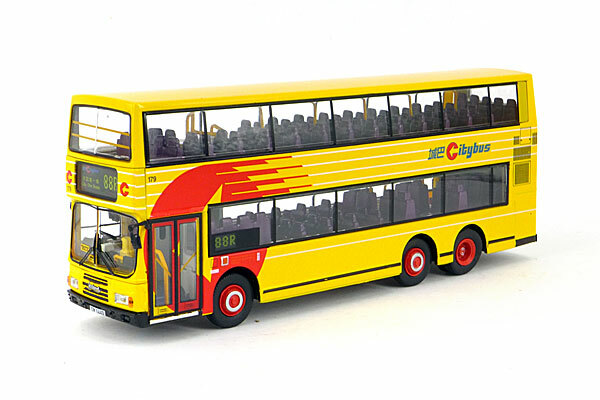 An update on the Citybus/New World First Bus order for Wrights bodied Volvo B9TLs (see News 5th March). 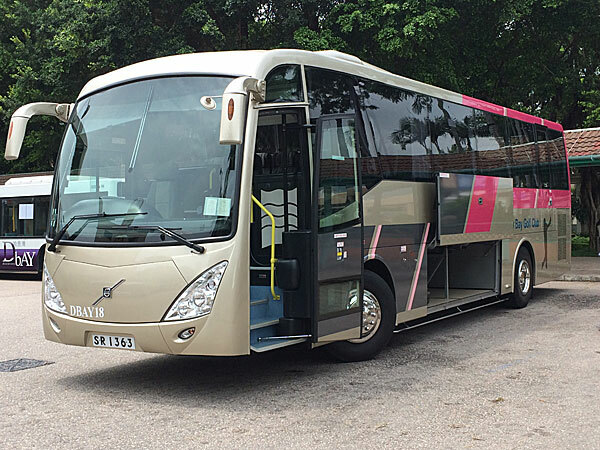 It is confirmed that the 12.8 metre protototype Volvo B9TL has arrived at the Masdef assembly plant in Puchong, Malaysia. 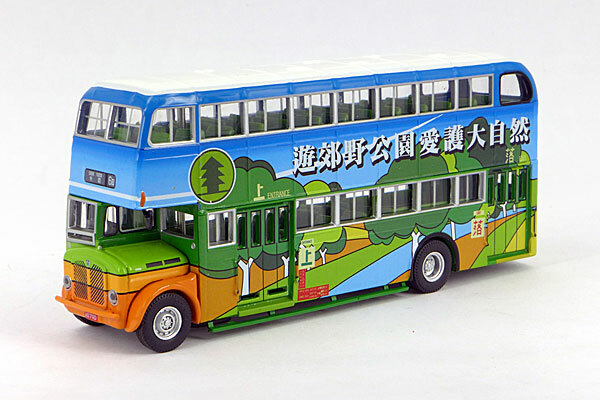 Assembly of this bus is partly completed and this will serve as the benchmark unit for the Masdef staff. New pages and further photographs will be added as soon as time allows. 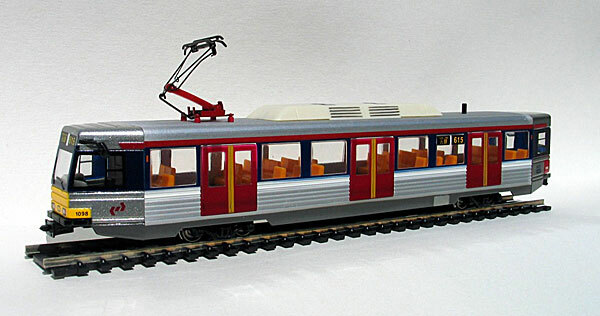 A new page has just been added to the section of the site for this previously released KCRC light rail vehicle. Details are limited other than this is a plastic model. Any further details would be appreciated. 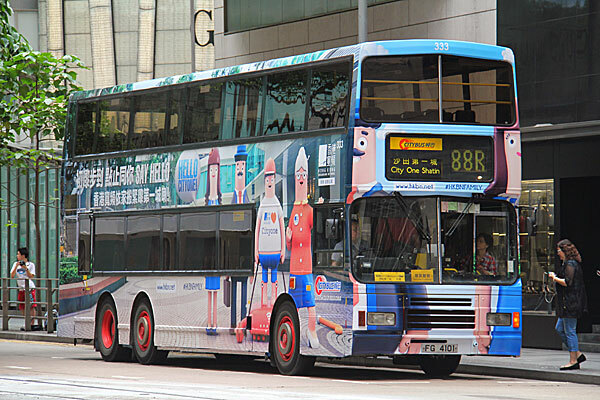 Several buses operating on routes to and from City One Shatin and Tai Koo Shing have received all-over advertising for Hong Kong Broadband Network, which is now available in these locations. Citybus Leyland Olympians nos. 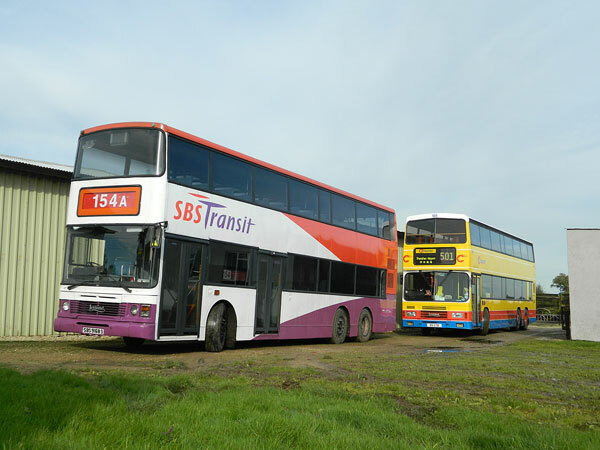 330 and 333 from the non-franchised fleet along with New World First Bus Enviro500 5569 are pictured above. 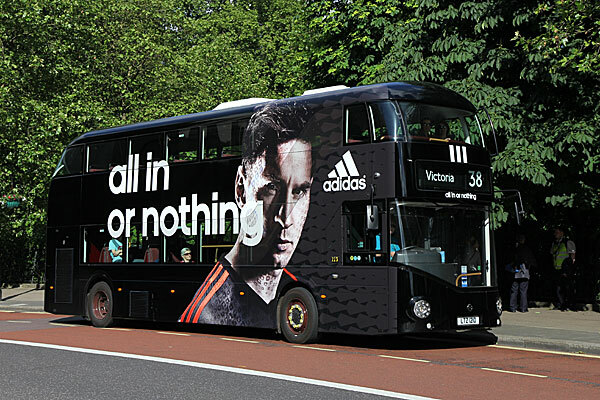 The first of a fleet of 20 new Routemasters hit the road this weekend painted black and advertising Adidas in anticipation of the World Cup. All 20 will be operating on route 38 which is part way through a phased conversion to the new Routemasters. It is equally likely that they will only last a couple of months and will be repainted red once the world cup is over. My thanks to Keith Wood for providing the photos and information. Another new Citybus vehicle is the subject of todays news, this being the first 12.8 metre long Enviro500NG, seen here at the company's Chai Wan Depot on 22nd May. Larger 'clickable' images are available. on both photographs, thanks to Dennis Law. 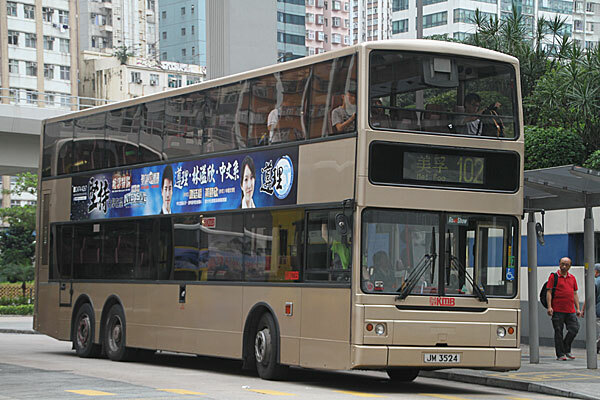 And another 12.8 metre bus, this being a Wrights Gemini 2 bodied Volvo B9TL, spotted in Tuen Mun today. 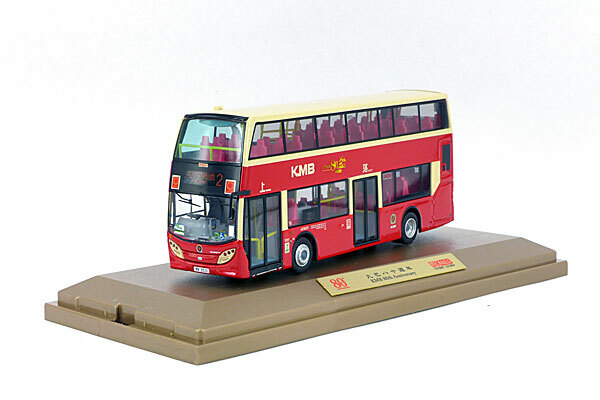 No less than three Kowloon Motor Bus 'second-issue' 80th Anniversary models are set for release on Tuesday 27th May. My thanks again to James Dawkins, owner of Flickr site Arriva3701, for sending me further photographs of this Citybus liveried ADL Enviro500NG hybrid, noted undergoing testing today. A new page has tonight been added to the section of the site. 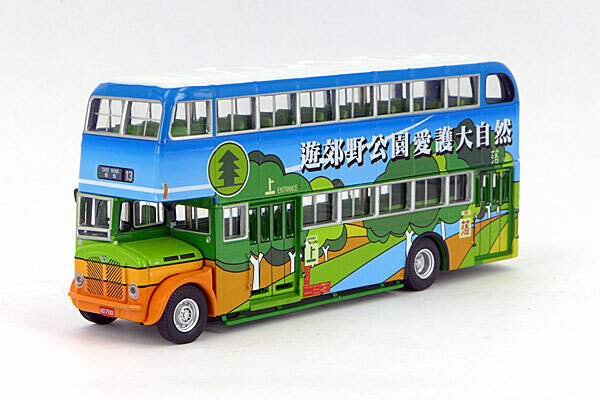 Following the posting of the photograph of the green public light bus, thanks to Philip Chan and Dickson Medicine for confirming this model, along with the above red version (91403), were released on 3rd May. 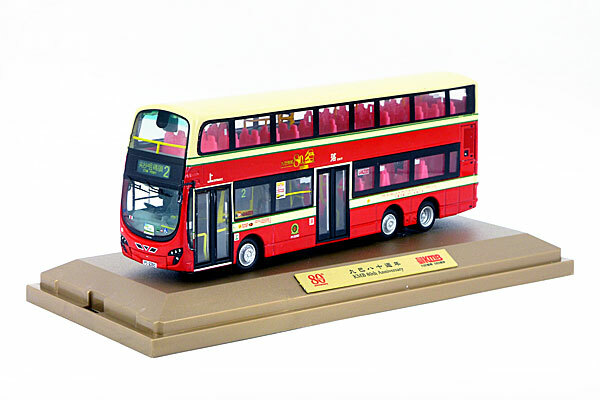 Further to the report back on 8th March that the Hong Kong Transport Society were to release two Citybus Leyland Olympian models, my thanks to Concorde Hobby Shop for allowing me to use the above photograph of fleet no. 179. No release date is yet known. 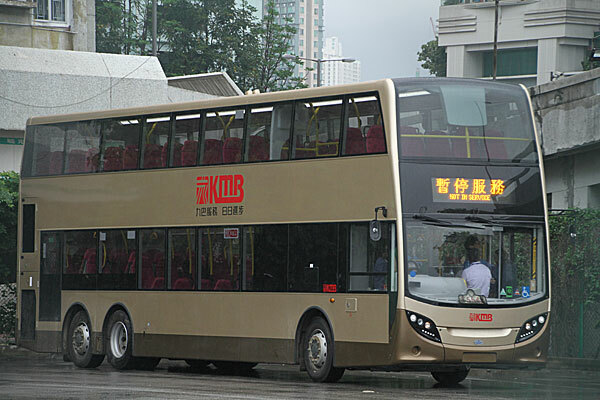 Three of the six hybrid ADL Enviro500NGs mentioned below are destined for Kowloon Motor Bus whilst the other three are for the 'Citybus Group'. A photograph of a new 12.8 metre Wrights Gemini bodied Volvo B9TL has appeared on a popular social media site. 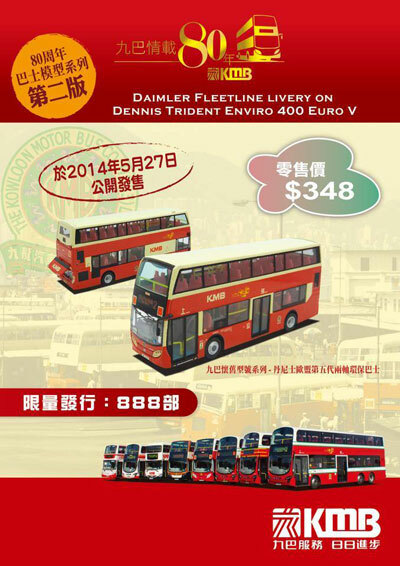 Further to the news below on the Citybus Enviro500NG hybrid, a recent article in Coach & Bus Week focuses on Alexander Dennis and the revamped Enviro400, but also makes mention that there are six Enviro500NGs being built for two Hong Kong operators in an article on product development. The vehicles are being built at ADL's Larbert headquarters. The article includes a picture of one such vehicle in build. 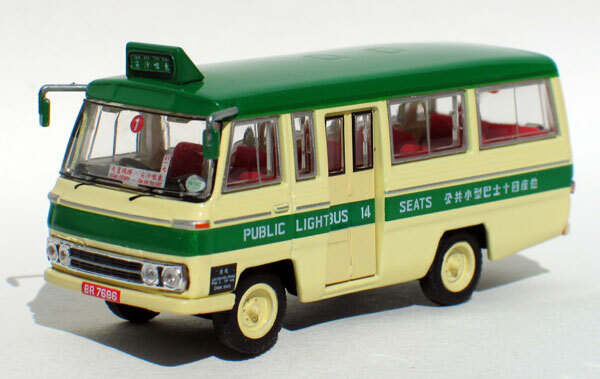 Not prevously recorded on theis site is this Nissan Echo green public light bus from Cars Workshop (91404). My thanks to Simon Ayres for providing both details and photographs, more of which will be added to a new page as soon as time allows. Was there a 91403? 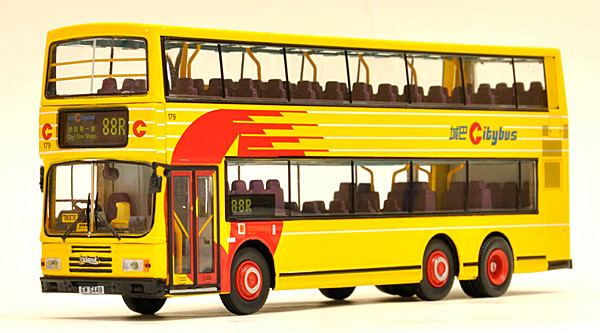 Following the recent release of the light rail vehicle, Simon Ayres has kindly provided photographs of this previously released KCRC vehicle, which unlike the latest release, has a plastic body. Again I hope to add further photographs soon. 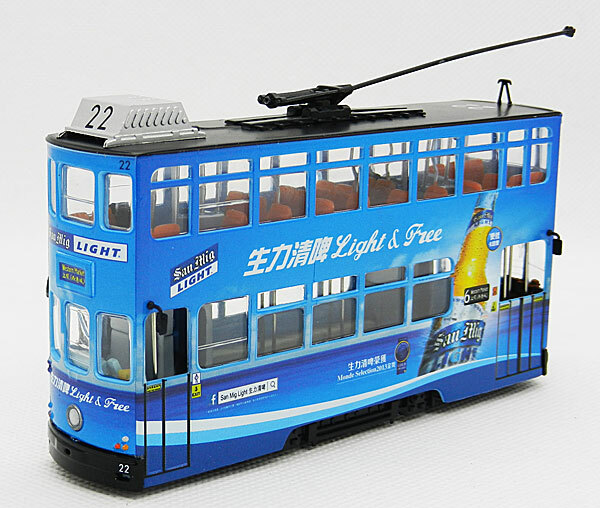 Tomorrow sees the third tram release this month, this time featuring tram 22 in all-over advertising for San Mig Light (TT33674). It is limited to 1,000 pieces. 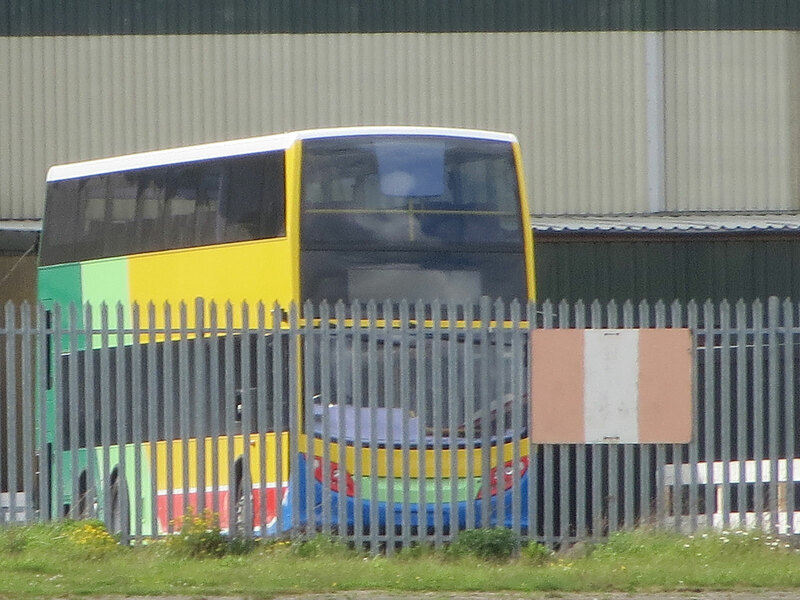 Fleet no 9526 (SR9881) is the latest ADL Enviro500NG to join the Long Win fleet, having been registered on 9th May. 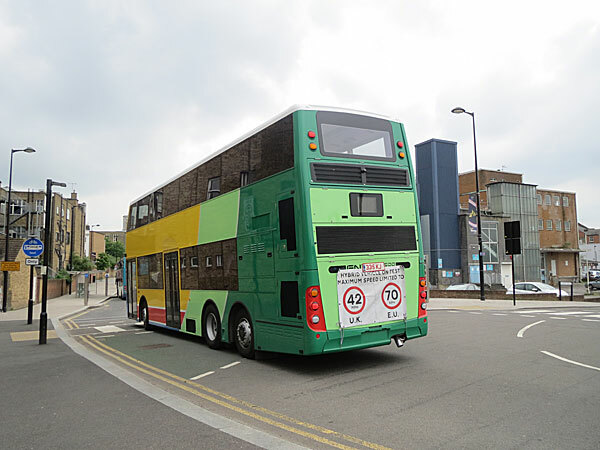 Noted undergoing trials recently is this hybrid green minibus. 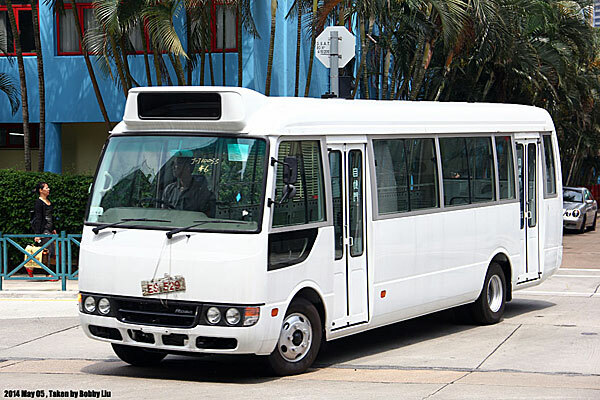 It is understood that this is one of twelve minibuses powered by rechargable electric batteries. 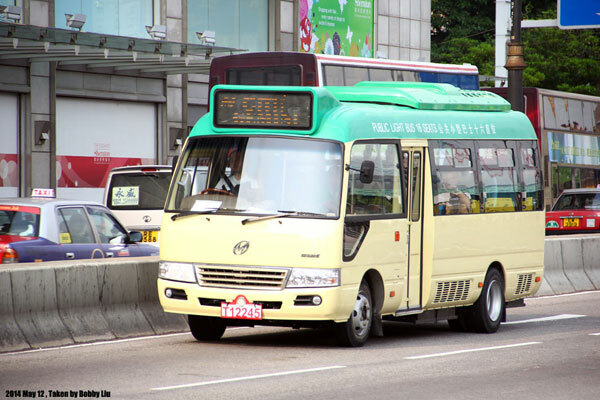 Green Mobile Innovations (GMI) who build the velicles claim the buses consume a third less oil and produce 70% less greenhouse gas emissions than the LPG powered and diesel minibuses currently in use. "The battery will recharge when it runs low or when the vehicle is stopped... ...a fully charged battery would last 450 kilometres at 80km/h after which the diesel engine would kick in. 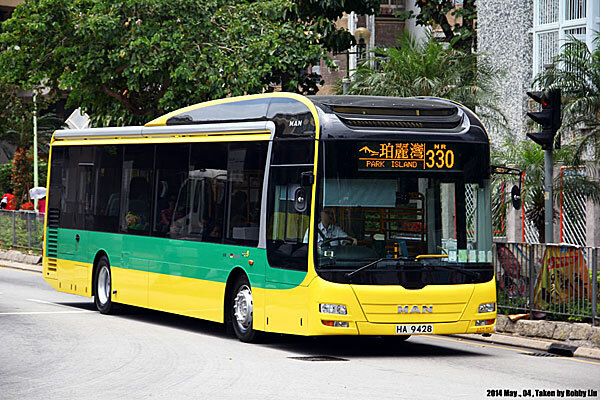 That would make the hybrid no different in operation from a conventional minibus, which clocked about 300 kilometres a day" said Lo Chee-pui, director of GMI. 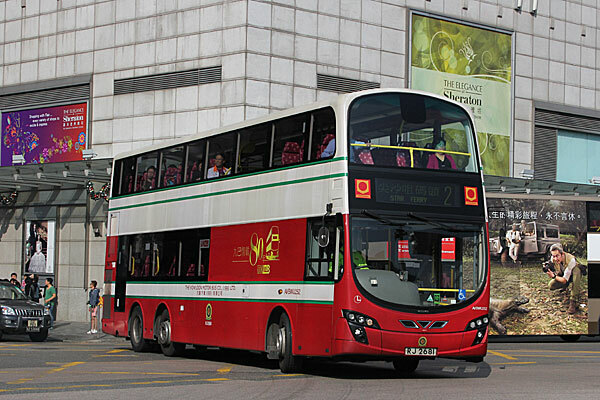 Long Win ADL Enviro500NG no. 9518 received serious front end damage yesterday whilst operating on route E34. 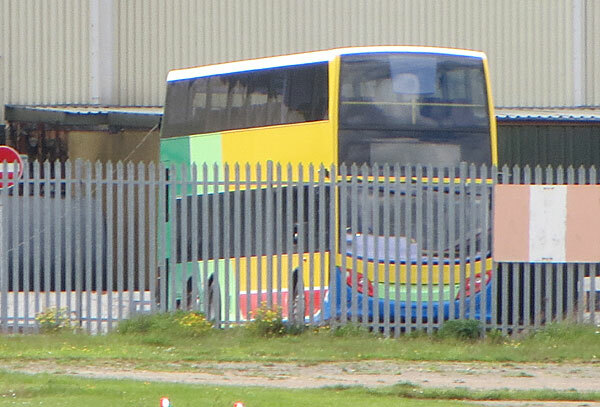 My thanks to James Dawkins, owner of Flickr site Arriva3701, for sending me a couple of photographs taken today of the Citybus hybrid Enviro500NG, which is now located at BAE Systems in Kent. Three new models have been released in Hong Kong today. 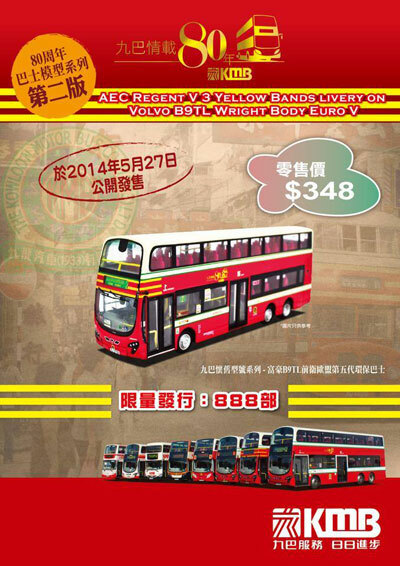 The first two, from Cars Workshop, feature Kowloon Motor Bus AEC Regent V AD7110 - one version (38104) is on route 6B to Chuk Yuen whilst the second (38105) is on route 13 to Choi Hung. Each is limited to 500 pieces. 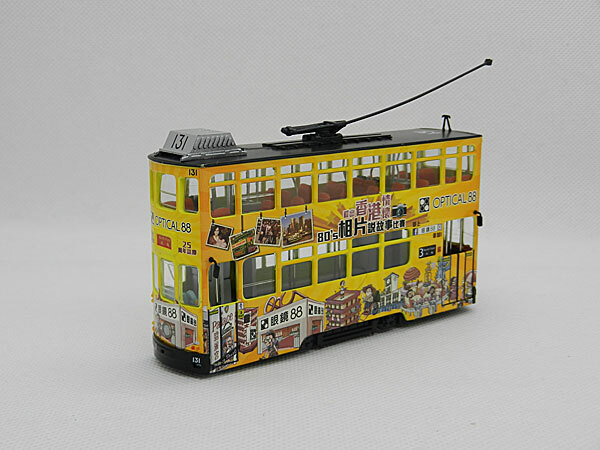 The third is from 80M Bus Model Shop and features tram number 131 with all over Optical 88 advertising (TT33675) which is limited to 1,000 pieces. 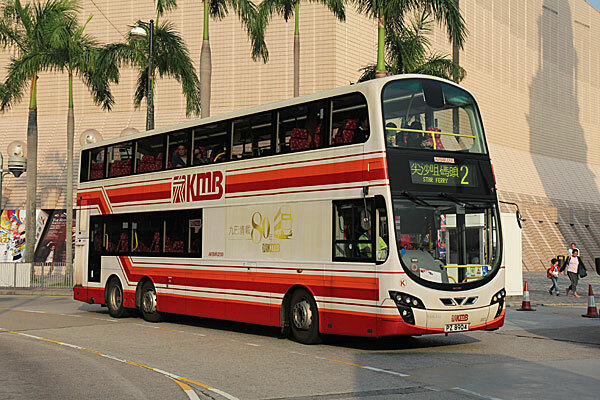 Today's visitor to the To Kwa Wan Vehicle Examination Centre was KMB's 12.8 metre Enviro500NG. Last weeks edition of 'Coach and Bus Week' included an article about Dave Roger's latest acquisition, the last ever Leyland Olympian to be built, SBS Transit's SBS 9168S. Dave is now faced with a bill of almost £3,000 in import duty as according to HM Revenue and Customs the bus does not meet its criteria for being a collectors piece of historic interest. An urgent appeal has been made on the Leyland Society website, just follow the link for further details (link no longer available). 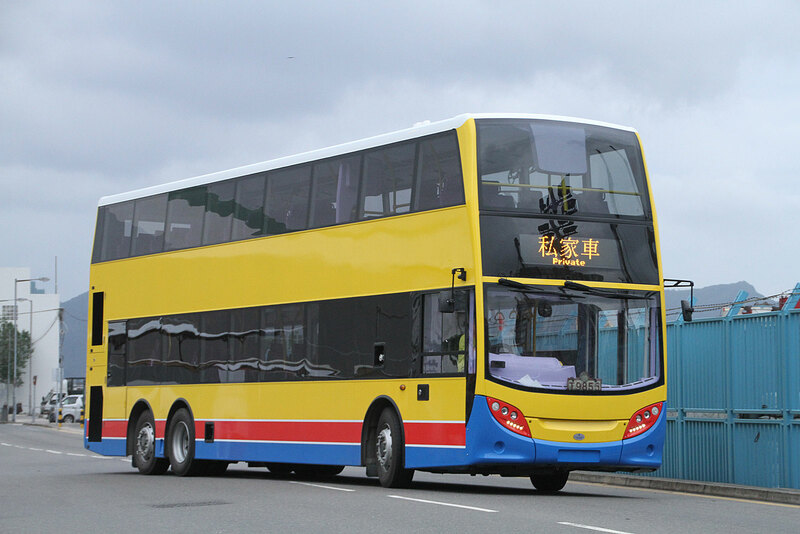 The first glimpses of a new Yutong ZK6128 single-decker demonstrator for Kowloon Motor Bus, thanks to Dennis Law. The bus was being examined at To Kwa Wan Vehicle Examination Centre today. 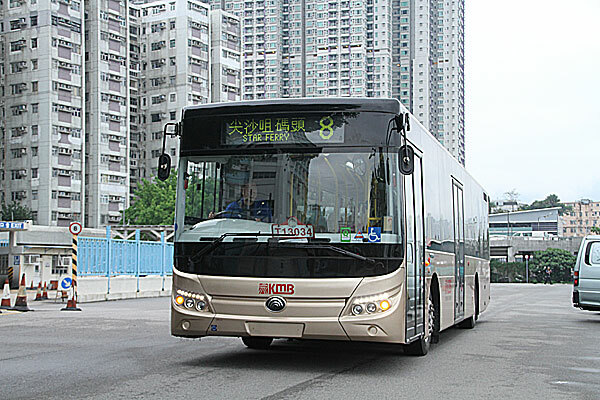 This is the second right hand drive demonstrator in a batch built by Yutong, the first being tested in Macau by Reolian in November 2013. 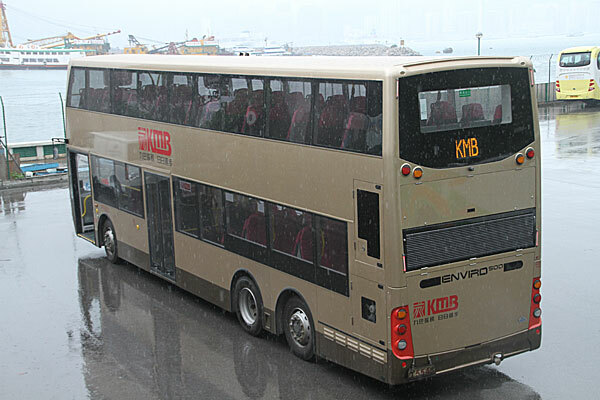 An unusual vehicle to be found operating cross harbour route 102 on Monday 5th May was KMB's Berkhof bodied MAN, AMN9. 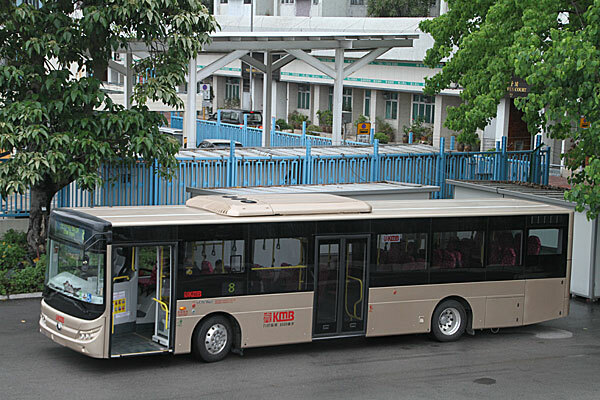 It is believed that the unusual deployment of this Tuen Mun Depot based MAN on route 102 was intentionally arranged by a part time bus captain, who himself is also a bus lover. The bus only operated route 102 for one round trip on that day. 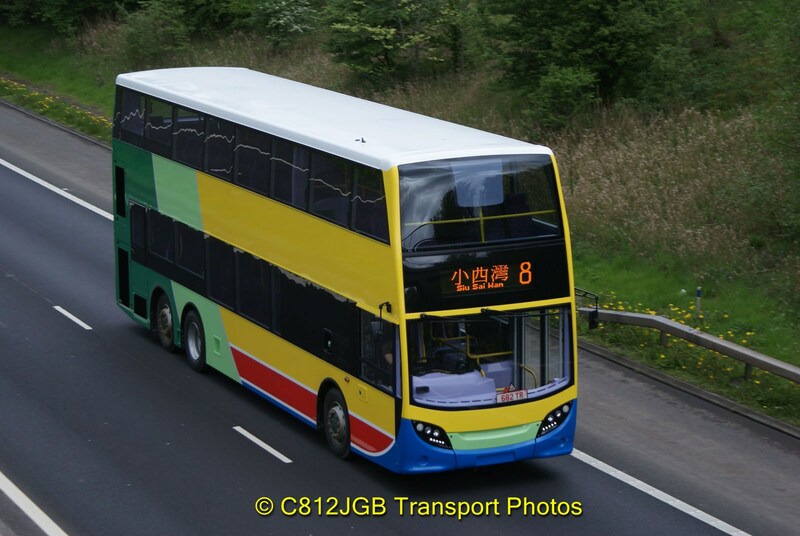 I am very grateful to Steve, the owner of Flickr site C812JGB, for allowing me to use his photograph of this Citybus Enviro500, taken today on the M74 in Scotland - a mixture of colours there! A larger clickable image is available. Steve's site is well worth a visit if you are interested in Eddie Stobart lorries along with a few fire and police vehicles. This Mitsubishi Rosa was recently delivered to Transmac and it is believed to be one of an order for 42 similar vehicles, to replace those acquired in 2004. 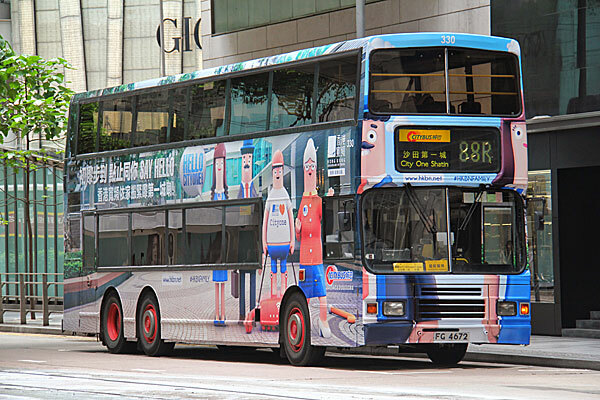 VA76, believed to be the last of the batch of Volvo Olympian transferred from Citybus to New World First Bus, has appeared in route 798 branding. My thanks to Alan Wong for providing the above photograph. Further photographs have been added to the section of the site. Park Island Transport has taken delivery of this MAN NL323 with Gemilang bodywork, having being registered on 16th April. 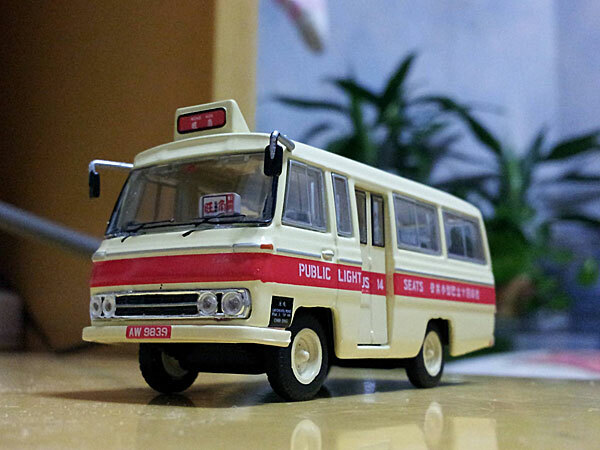 The registration is that formerly carried by Park Island's Dennis Dart, formerly Kowloon Motor Bus AA51. 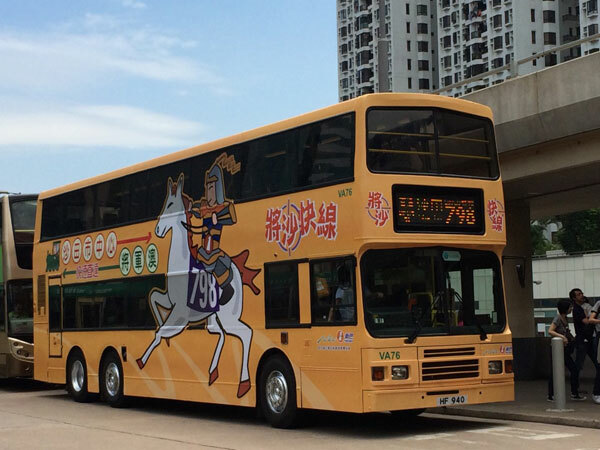 It was noted operating route NR330 today, to and from Tsing Yi Station. 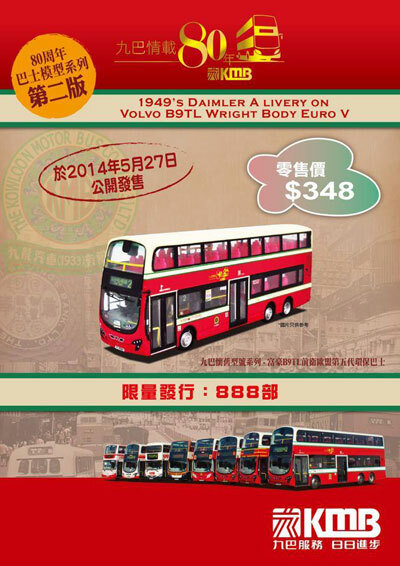 In the recent Discovery Bay update, I forgot to make mention of this new Volvo B7R and am grateful to Bobby Liu and Chris Silkstone for reminding me. 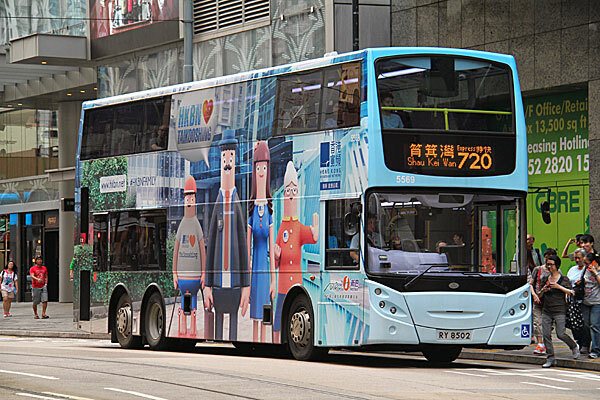 A photograph of a 12.8 metre Citybus liveried Enviro500NG has appeared on a social network site. And two more shots of the 80th anniversary buses of which models were released yesterday - again bearing route and destinations matching the models, thanks to Keith Wood. Alexander Dennis has today released the following press release. 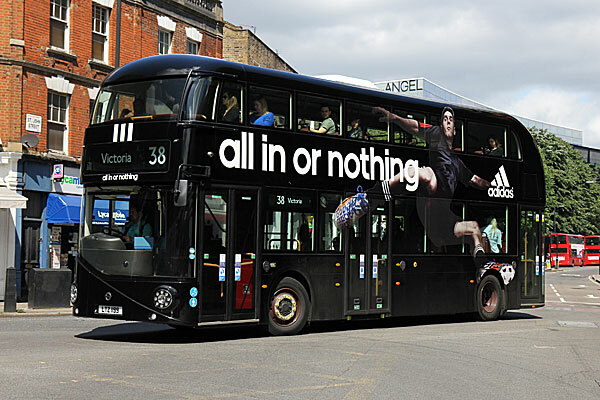 As Colin Robertson, CEO, took the wraps of the new Enviro400 – a bus he believes will “raise the bar for the industry” – it became apparent that ADL is not only determined to remain No 1 in Britain but has its sights on further growth in global markets. Speaking to the press, Robertson revealed that the Enviro400 enters the UK market with over 400 orders in the pipeline. These include nearly 120 that will be delivered in the next 12 months to Go-Ahead, Stagecoach, Reading Transport and other UK operators. In addition, multi-year contracts with operators such as National Express will boost this figure to beyond 400, worth a collective £80 million. However, Robertson made it clear that while ADL intends to consolidate and strengthen its position in the home market, it also remains resolute in its strategy to de-risk the business through further expansion of its global footprint – and he made his point in emphatic terms. 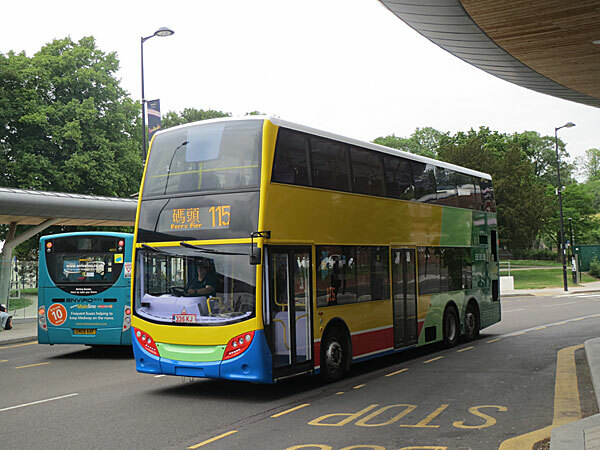 “I am delighted to announce today that the new Enviro400 is off to a flying start but in addition I can confirm that we have recently won orders for nearly 600 high capacity Enviro500s – the custom-built export double deck we launched just 18 months ago. 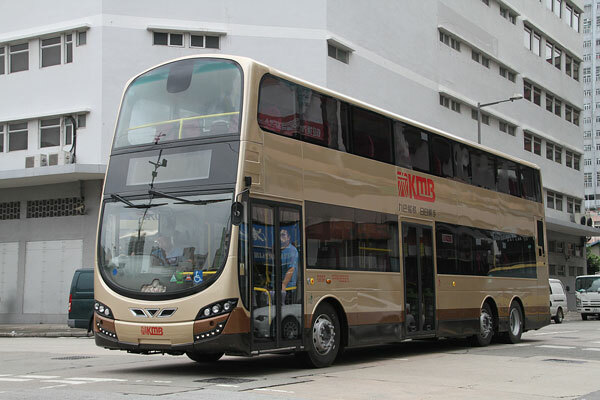 “These latest Enviro500 orders are worth around £175m and come at a time when we are actively pursuing further initiatives to increase our build capacity in Malaysia, which is a strategic gate-way to significant new territories. He added: “At the risk of sounding arrogant, I think it is fair to say that the track record and performance of our two and three-axle double decks has put us right at the forefront of this market sector, both in home and export territories. 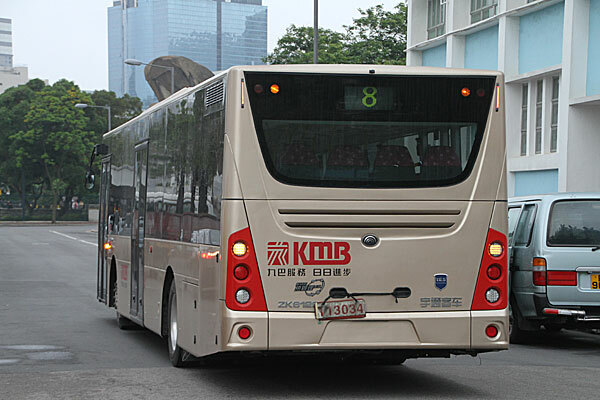 Robert Davey, ADL’s International Business Development Director said that the recent Enviro500 orders include 40 that will go into operation in Malaysia; 70 for Citybus and 86 for New World First Bus, both Hong Kong; 171 for KMB, also Hong Kong; 201 confirmed for SMRT in Singapore; and 22 for operators in Seattle, USA. 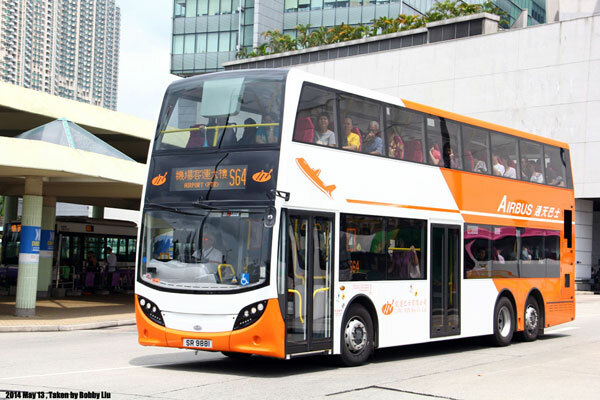 In addition, ADL will also build 80 Enviro200s for operation in Malaysia. In addition to the orders for Hong Kong, Singapore and Malaysia, ADL also confirmed a new build partnership with ABC, of Florida, who will assemble ADL open-top and transit double decks at their Nappanee facility, in Indiana, from the third quarter of this year. 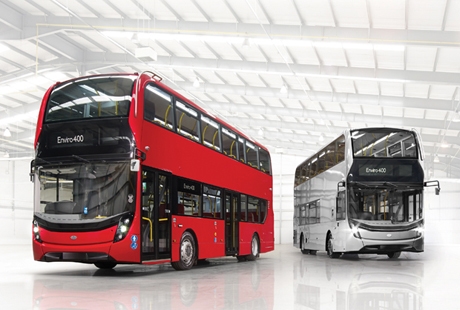 This augments a joint venture ADL currently has with New Flyer Industries, the largest bus and coach manufacturer in North America, which is about to introduce a new midi bus to the USA and Canada based on ADL’s hugely successful Enviro200 model.